Other websites of this company include www.FxGiants.com.bm and www.FxGiants.com. On the 1st of May, 2018, I noticed an advertisement on the Internet of the company fxgiants.com. 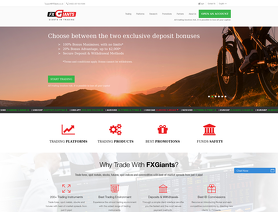 Having read lots of commentaries (positive ones that were left by employees of the company itself), I decided to take a risk and created an account with a broker fxgiants.com No. 13043313. After a successful two-month trade with this broker, I needed to withdraw my USD 187,89. My request to withdraw the money was at consideration for a week (I suppose, they thought that by this time I will lose all my money, so that there will be nothing to withdraw), the company asked me to confirm with an additional document my address (although, my account was fully verified at that time). When I went through verification for the second time and requested again the withdrawal of USD 187,89 , transactions on my MT4 were restructured in such way as if I have lost all my money. We live in the 21st century and I have been quite aware of such sort of fraud, and, therefore, all my true transactions with actual account balance and correspondence with clients support service on the withdrawal of money I have recorded on the camera to secure myself. As it appeared, for good reason… I can send the video on your e-mail, text me on jukan917@gmail.com. 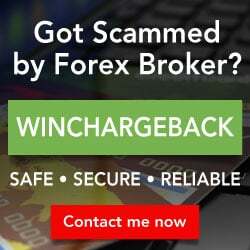 I do call upon all new clients to stay away from any transactions with brokers fxgiants.com and ironfx.com, because these two companies are bound by the same employees, same promotions, same notifications on e-mail with regard to financial news. Look through the screenshots as a proof of what I am saying. Read commentaries about the company ironfx.com and you will understand everything. For those who live in countries of CIS, a person named as Pavel Simonov works for both companies. His task is to call you and tell about solidness of the company, that its activities are regulated and monitored by several state authorities and that it is a very reliable company. After that Pavel Simonov asks you to deposit your account for as a big sum of money as you possibly can and subscribe on pam accounts that will earn you profit from 30 to 60% per month. If all your deposits do not get annulled by these fictitious pam accounts, then at your request to withdraw the money, all transactions in your Terminal will be restructured and re-made for ZERO result on your account. Therefore, if you are a present client of one of these companies, record on camera all your transactions together with account balance, requests to withdraw the money, correspondence with support service. They will be your evidence of the fraud committed by these companies. Send out this evidence to the regulators of these companies, to payment systems which transfers their money, leave more comments about frauds on the Internet, so that other present and potential clients will not get caught by these frauds and so that they do not disgrace Forex among real traders. Together we can get rid of frauds. I wish you all every success in trade with fair brokers! Profit you all!! I'm Vietnamese. FXGiants deposit me 35$ no deposit bonus without verify documents, and I make profit 573$ after trade 5 lots. Now they deleted money in my account no reason!Big Scam. Help me!!! I have reported them to the FCA providing all details of their various "disguises" and asked why they are not shown on their complaints data (maybe not enough to register - you must always report them otherwise nothing will be done) and no warnings. Please, please if a "broker" has anything to do with the UK report them to the FCA and file a complaint. I opened an account with fxgiants UK, via IB globegain.com. They were recommended to me as a reliable, regulated broker. I traded for 3 months, everything was almost normal. Absurdity! They stole from my account $855.61!!! I wrote to everyone e-mail, personal account manager. I did not receive any answer. Nothing. The error is not corrected !!! All documents and evidence are preserved. I am sending a complaint to the FCA(no. 585561), what else can I do? Advise please. Thank you in advance for your support !!! You are kindly requested to provide us with your particulars (i.e.name and account number) in order to allow us to attend to any queries you may have. You can also write to us at responses@fxgiants.com for any clarifications you may require. I opened my affiliate and introduced my clients and until now I havent been paid my rebates. I worked so hard in workshops and conference and for what for nothing. I am very disappointed in the way they attract ppl to just bring in clients and then rip them off. Be very careful when dealing with FXgaints. FxGiants are dishonest and offer a terrible customer service, they make it very hard to withdraw your money and don't help you to profit at all. I highly do not recommend this broker, you can do so much better. I opened an account with them and received a welcome bonus of about €30. I fulfilled all conditions set out and when I tried to withdraw I was left blank for over a week then finally my "account manager" called me to tell me my withdrawal was denied due to a conflict of matching IP addresses; blah, blah, blah. This is all based on a lie, I only opened one account with them and they ripped me off. I have nothing against them, I do not say this to demean FXGiants at all but this is my honest testimony of my dealings with FXGiant. Their customer service is also among the worst in all the brokers I've encountered but like I said my concern with this broker is the way they lied and ripped me off what was duely mine. Take note and save yourself a headache. then i request withdrawal. they declined it. they said i was using the same IP which been used to register another account. lol, just another silly reason. u know what, my withdrawal is not more than $300 but they can't pay. i wonder if this broker even have any money..